I’m sitting in the Denver airport, reflecting on the past 48 hours and my first experience of SourceCon. To summarize in one word: amazing. 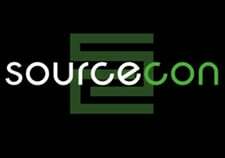 SourceCon is a community of practitioners passionate about talent sourcing. The spirit of the community is based on sharing information to help us all grow as recruiters/sourcers. The crowd at the event this year was the biggest ever and there is good reason behind it: 84% of companies grew their recruiting departments over the past year, and Celerity was one of them. It was really nice to see that one of my philosophies echoed throughout the conference this year. Engagement. How do we engage with our candidates? The problem is not finding information on candidates or finding names to put on a sourcing listin fact, we have massive amounts of data on potential talent. Whether you realize it or not, you offer out tons of data about yourself everyday online. Rather, it’s about taking unstructured data, analyzing it, and creating unique opportunities to engage with those candidates. The main way to do this is by creating a true relationship that may not pay dividends right this second, but will down the road. The currency of networking is generosity. Successful recruiters and sourcers take pride in engaging with their candidates and daring to be different. I mean, who really wants to talk to someone on a phone that is reading a scripted paragraph and knows nothing about you? If you cold call me and don’t know that I love coffee, you haven’t done your job because it’s in my Twitter bio. Spend time investing in who you are going to call and create an intelligent and unique conversation catered to their passions. Overall, the event was a success and was well done. The vendor scene was top notch and I’m excited to demo a few free trials next week. Being able to meet and chat with some “celebrity” recruiters from across the world is priceless. No matter how much you think you are bringing your “A” game, there is always more to learn. Be passionate. Be creative. Be yourself. My favorite tagline from the event was “Rock the Social Media Mullet.” A little business up front and a little party in the back. This ties in to some of my ideas about interweaving your social media accounts with both personal and business information.